Luis Guzman stars in PERPETUAL GRACE, LTD. as “Hector Contreras,” a Mexican sheriff whose misplaced hope in the romantic pursuit of a used car saleswoman drives him to engage in James and Paul’s financially lucrative proposition, mistakenly assuming the simplicity of detaining a meek-seeming older couple (Ma and Pa – Jacki Weaver and Sir Ben Kingsley) for two weeks, only to learn the couple is anything but meek. 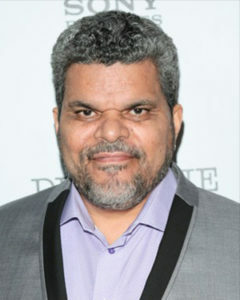 With over 30 years in the entertainment industry, actor Luis Guzman has been seen on film, television, and theater plays. The favorite of hollywood’s tops directors (Steven Soderbergh and Paul Thomas Anderson) who cast him in films such as “Out of Sight”, “The Limey”, “Traffic”, “Boogie Nights”, “Magnolia”, and “Punch-Drunk Love”. Most recently as one of the founders of Pink Rose Pictures, his vision is clear, to create high quality original content for the audiences. Born in Puerto Rico and brought to New York City as an infant, he grew up in Manhattan’s Lower East Side where he took a keen interest in advocacy work for the benefit of his community. Since the 1970s, he has worked with the organization CHARAS, a group noted for its community-based urban ecology, and arts and culture where he also collaborated with Cesar Chavez during the grape boycott. His early work strengthened his passion for helping others and has and continues to support to the East LA Rising (formerly East LA Boys & Girls Club), Advocates for Children, and the Henry Street Settlement House among others where he goes to speak and help in any way he can anytime he has an opportunity. An active family man and proud father of five, Luis has instilled his strong work ethic in his children who are each pursuing their own careers in entertainment. When he is not on set, he enjoys dancing, playing music, photography, cooking (signature dish, Chicken a la Louey) and being a good human that helps others. Currently, he splits his time between Los Angeles, New York, and his farm in Vermont.